A more visionary approach to external wall applications on offices and commercial buildings are leading architects and designers to source a wider selection of decorative finishes. In response to this, one of the UK’s leading fabricators of aluminium rainscreen cladding and facades Metalline, have added an exciting new collection of finishes to their PPC range. Polyester Powder Coating (PPC) is a colouring process used within architectural fabrications. This process can achieve bright and bold finishes, which include a full metallic colour range. All of Metalline’s PPC Aluminium products are available in every RAL or BS colour and recognised for their functionality. Being a type of dry coating, Polyester Powder Coating makes an alternative to liquid paint. It is a three-step process that includes preparation, appliance and treatment. PPC aims to form a protective skin over architectural fabrications. This is done by being applied electrostatically and then placed under heat. Using this electrostatic powder process ensures that fabrications of any shape and size can be processed. Achieving an even finish. A common metal that is frequently powder coated is aluminium. This gives it a durable finish and decorative appearance, which is highly desirable. Polyester Powder Coated cladding is an excellent choice for environmentally friendly projects. Considered to be both more energy and material efficient. Metalline are the first to use a new PPC finish on their range of CWCT certified Unity rainscreen cladding panels. The finish imitates the appearance and textures of stone. The new stone textured Polyester Powder Coated cladding is a perfect substitute for natural stone panels. Offering a range of cost saving benefits as well as providing the architect with more design options. 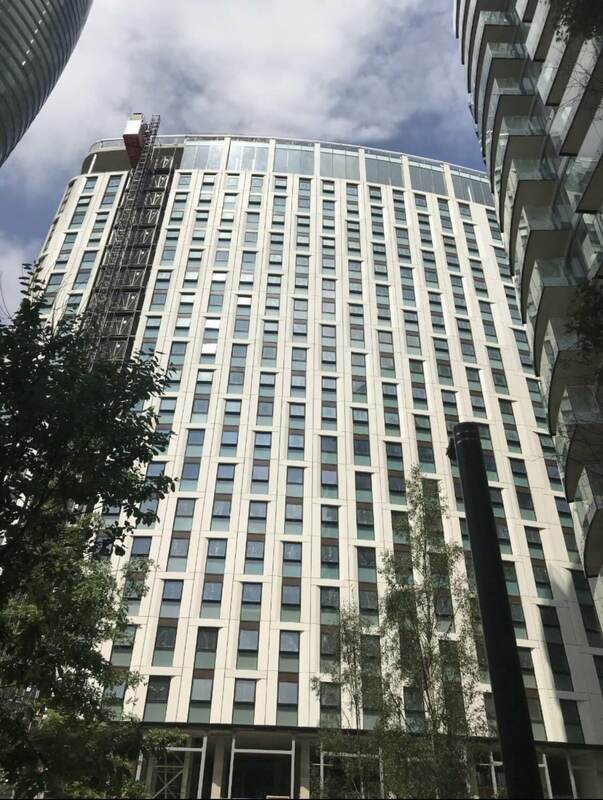 On a number of capital projects in London, Metalline has worked closely with contractors to present their new polyester powder coated cladding with stone texture. Outlining the impressive cost savings that they could achieve. PPC finishes on our Unity rainscreen and Ultima insulated panels, have the added advantage over stone. Giving huge weight savings enables designers and specifiers a greater scope when developing facades. To find out more about our polyester powder coated cladding, please visit our PPC page.